Job search is no longer about having the resume open doors. It requires a triple threat offense comprised of social networking, personal branding, and a pro-active, plan of attack. 94% of recruiters search talent on LinkedIn. Will they find you? 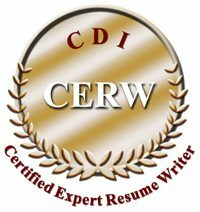 Career Management goes beyond partnering with someone to develop a resume, cover letter, or LinkedIn profile for your job search. Career Management requires you to think beyond your next JOB and challenges you to explore your values, set goals, and believe that you can obtain the ideal career you have always wanted. It’s not an “I think I can” mentality; it’s an “I KNOW I can” mentality. This is an investment in yourself in helping you make a long-term career move. Career Management is a combination of research, soul searching, looking inward, and looking outward. It’s asking yourself about what you value, where you want to be, developing a plan, and setting goals. Your next career and job move will have a life-changing impact on your overall wellbeing. You have an opportunity to take control of your professional life and personal life with one decision. The decision can impact you for months and even years down the road. Subscribe to Our Newsletter & Receive a FREE ebook! Our best clients are those who value master level expertise and want to make an investment into their careers. Because most of the services include strategic coaching to help you map out a plan and understand your value in the marketplace, we can assist professionals in multiple industries. 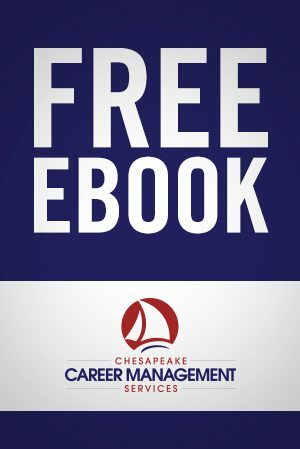 From entry-level recent graduates to C-level professionals and everything in between, Chesapeake Career Management Services can help. My old resume was like driving a mid-80’s Ford that was missing a couple of cylinders and Beth gave me a Ferrari… I highly recommend Beth. I am excited to tell you that I accepted a job at a major national consulting firm. I am confident that my resume, LinkedIn profile and Win the View were all invaluable elements of my successful job search. Thank you for your help. After working with you, I started to literally get bombarded with calls and emails from recruiters. It’s pretty exciting. I feel like I can be selective and really decide which role is the perfect one for me…needless to say, I really feel my resume is really working for me, because, in fact, I feel as though I’m not job searching; people are searching for me! That’s a great feeling. I’ve had people find me on LinkedIn and contact me based on my new profile, as well.